In a recent global market study, the analysts of Future Market Insights examined the various factors impacting revenue growth of the global orthopaedic bone cement and casting materials market. 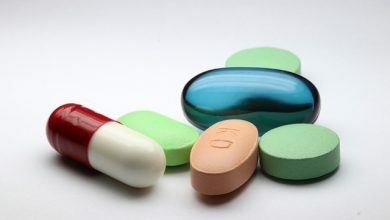 An increasing prevalence of orthopaedic disorders and patient preference towards quality treatment for a better lifestyle are primarily responsible for fuelling market demand for orthopaedic bone cement and casting materials. 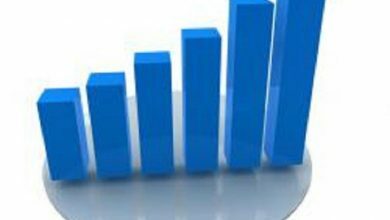 The analysts have presented their forecasts along with the key market dynamics including revenue drivers, growth restraints, and market opportunities and trends in a new publication titled “Orthopaedic Bone Cement and Casting Materials Market: Global Industry Analysis 2012 – 2016 and Opportunity Assessment 2017 – 2027” that presents detailed forecasts of the global orthopaedic bone cement and casting materials market for a period of 10 years (2017 – 2027) by benchmarking the historical market estimations from 2012 to 2016. Future Market Insights analysis reveals the various factors that are likely to boost the growth in adoption of orthopaedic bone cement and casting materials. 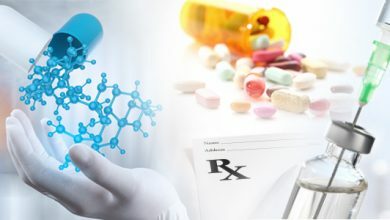 A growing number of people suffering from bone diseases such as osteoporosis, an increasing number of sports injuries and accidents leading to fractures of the bone, and the availability of advanced treatment options for severe back pain are some of the factors likely to drive the market towards high revenue growth in the coming decade. The global orthopaedic bone cement and casting materials market is also likely to witness a few trends in the near future. Growing research and development activities in the field of orthopaedics and increasing use of casting materials to treat orthopaedic injuries are expected to increase in the next few years, impacting the global market for orthopaedic bone cement and casting materials significantly. Future Market Insights has tracked the performance of the global orthopaedic bone cement and casting materials market across the key geographies of North America, Latin America, Western Europe, Eastern Europe, Japan, APEJ, and MEA. Unsurprisingly, North America is the dominant regional market with estimated revenues in excess of US$ 1,400 Mn by the end of 2027, witnessing a CAGR of 5.1%. The APEJ orthopaedic bone cement and casting materials market is estimated to be valued at almost US$ 940 Mn by the end of 2027, recording an impressive CAGR of 9.7% – the highest among all the regional markets. The Western Europe regional market is slated to register a CAGR of 7.1% during 2017 – 2027. Forecast by Product Type: The global orthopaedic bone cement and casting materials market is segmented on the basis of product type into Bone Cement and Casting Materials. The Bone Cement segment is expected to be the most lucrative product type segment with an attractiveness index of 1.1 and a CAGR of 6.9% in terms of value. 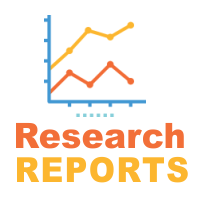 Forecast by Application: The global orthopaedic bone cement and casting materials market is segmented on the basis of application into Joint Arthroplasty, Trauma Cases, Sports Injury, Spine Surgeries, and Others. Joint Arthroplasty is the most lucrative segment by application and also the largest, estimated to reach a market valuation of US$ 1,458.6 Mn by the end of 2027, registering a CAGR of 7.3%. Forecast by End User: The global orthopaedic bone cement and casting materials market is segmented on the basis of end user into Hospitals, Ambulatory Surgical Centres, and Orthopaedic Clinics. 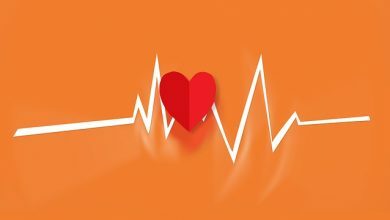 Hospitals is the largest end user segment, estimated to reach a market valuation of just under US$ 2000 Mn and witness a growth rate of 7.0% between 2017 and 2027. 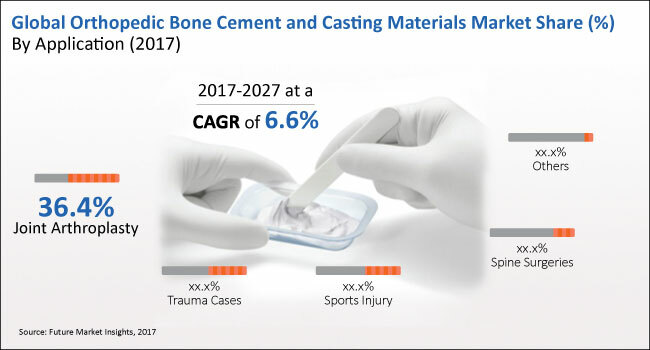 The report profiles some of the top companies operating in the global orthopaedic bone cement and casting materials market such as DJO Global, Inc., Heraeus Holding, Zimmer Biomet, BeneCare Medical, BSN medical, Stryker, 3M Health Care Ltd., DePuy Companies (Sub. Johnson & Johnson Services, Inc.), Smith & Nephew Plc, Exactech, Inc., Medtronic, Inc., B. Braun Melsungen AG, Cook Medical, SOMATEX® Medical Technologies GmbH, TEKNIMED, T-Tape Company B.V., Lohmann & Rauscher GmbH & Co. KG, MIKA MEDICAL, Össur, and Innovation Rehab LTD.